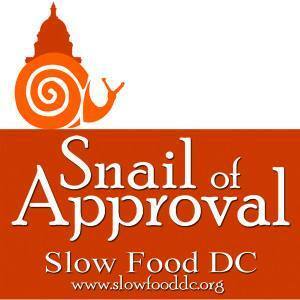 Help Slow Food DC celebrate our newest Snail of Approval winners! Come out to enjoy delicious and seasonally-inspired food and drink provided by 2016 Snail winner Urbana Dining & Drinks, while you mix and mingle with others dedicated to shaping our food community. PLUS, your ticket will include a one hour open bar from 6:30pm-7:30pm (house wine, house beer), and a specialty cocktail courtesy of new Snail winner One Eight Distilling all night long!